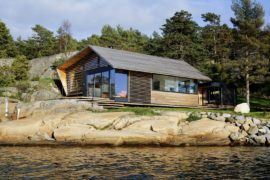 A beautiful holiday home and weekend getaway that is removed from the constant rush of daily life and enveloped in natural goodness is something we all crave for. 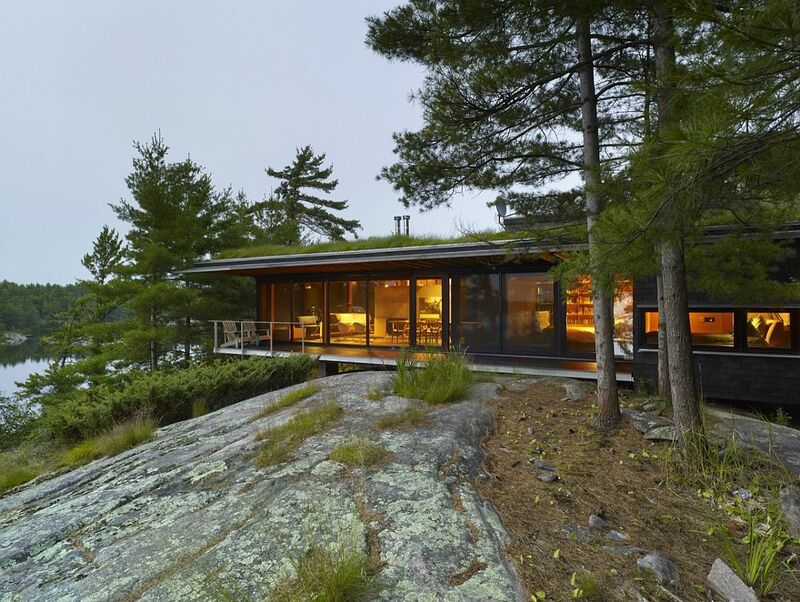 Add to this idyllic image a family cabin nestled on an island that can only be reached by boat, and you have the exquisite Go Home Bay Cabin in Ontario, Canada. 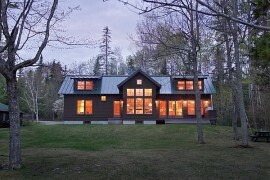 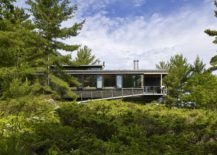 Perched on a lovely little lot that overlooks the shoreline, this dreamy cabin epitomizes the classic architectural style of vacation homes in the Georgian Bay while giving those inside a chance to enjoy modern comfort and panoramic views. 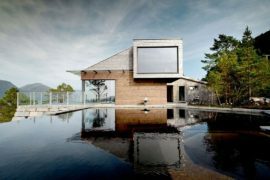 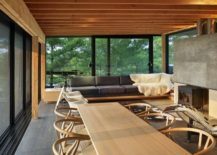 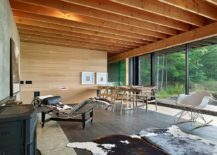 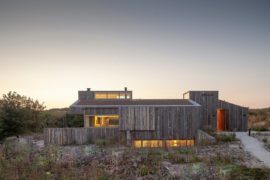 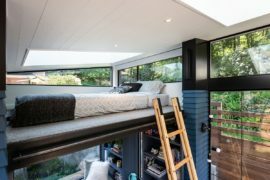 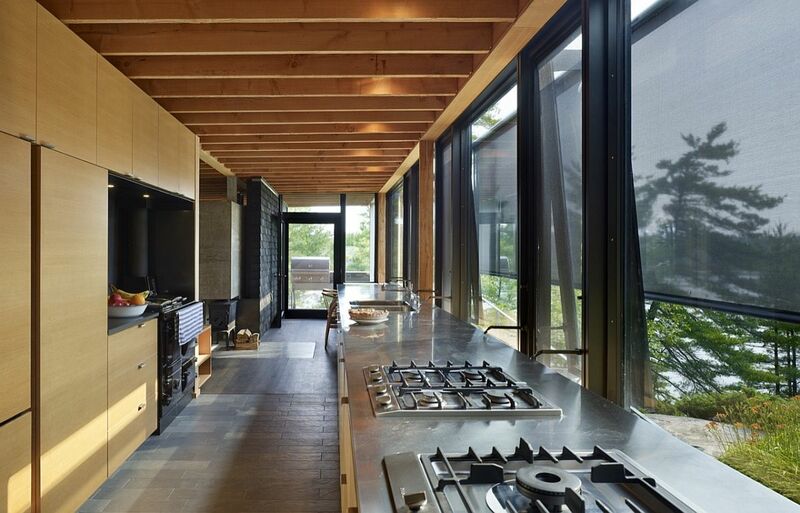 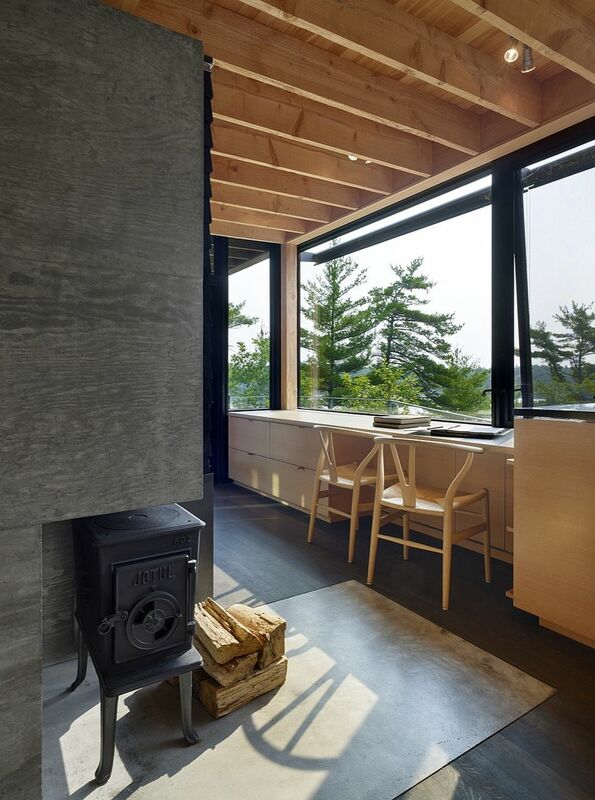 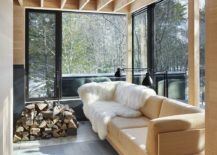 Designed by Toronto-based firm Ian MacDonald Architect, the silhouette of the cabin is intentionally kept modest and low-lying to ensure that it blends in with the landscape that surrounds it. 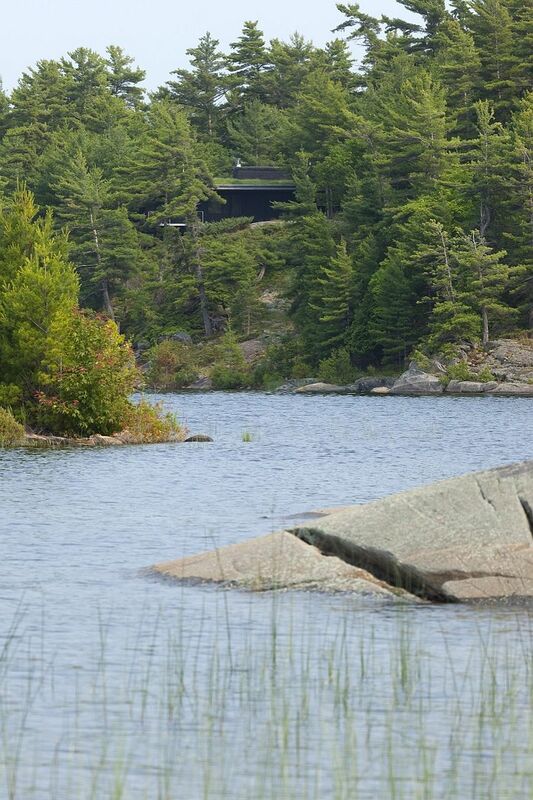 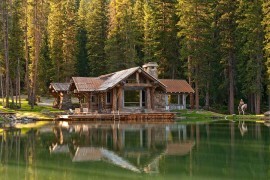 In fact, those visiting the cabin can only sense its presence as they climb up the dock that leads to the structure. 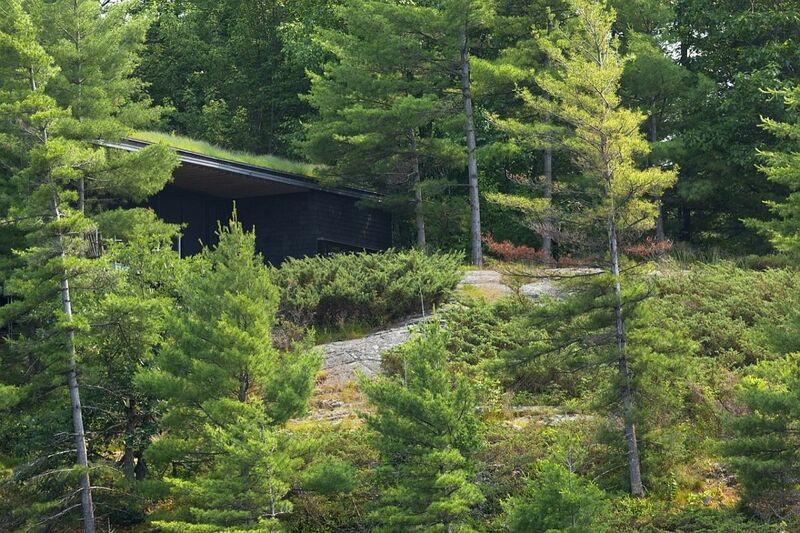 Another facet of the design that lets the classy cabin blend in with the surrounding pine forest is the irrigated green roof. 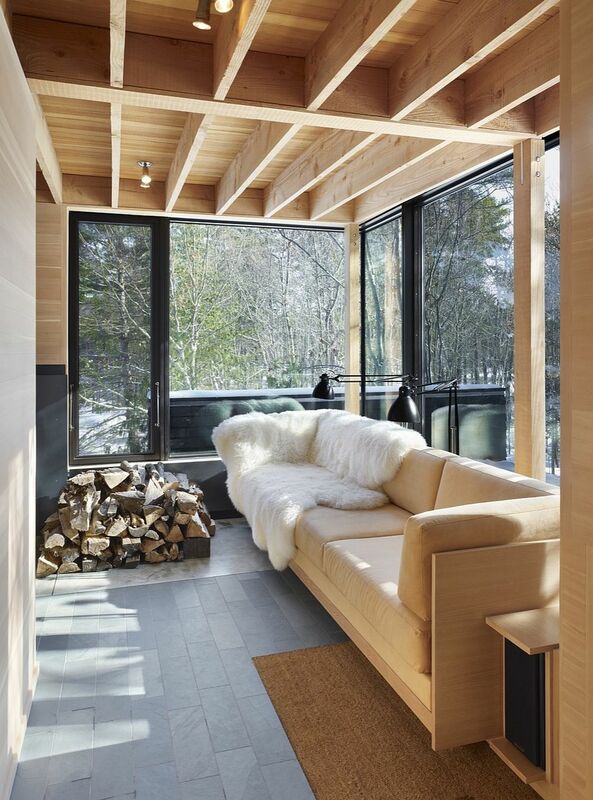 With a dark cedar exterior and a contrasting rough-sewn fir interior, this stunning vacation home paints a picture of fascinating contrasts. 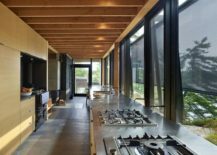 An open living area, a long kitchen that also acts as a corridor, and sweeping glass doors and windows that provide a constant view of the shoreline and the Go Home Bay channel make one’s stay here even more memorable. 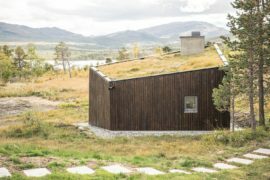 Smart cross ventilation, operable clerestories, and of course, the dynamic green roof turn the cabin into an energy-saving structure with a minimal carbon footprint. 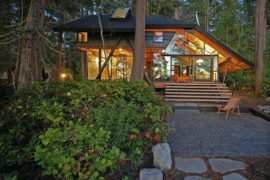 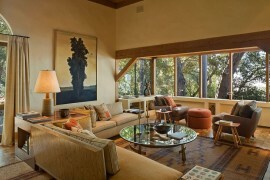 Eco-friendly and exceptional, this is a natural escape that veers toward the understated and efficient!